Softlink Information Centers provides library, knowledge and research management solutions. Our products are used by hundreds of businesses around the world from some of the largest multi-branch law firms to single branch non-profit organizations. We combine the latest technology with ease of use and affordability so that you can adapt, grow and deliver better services to your users. 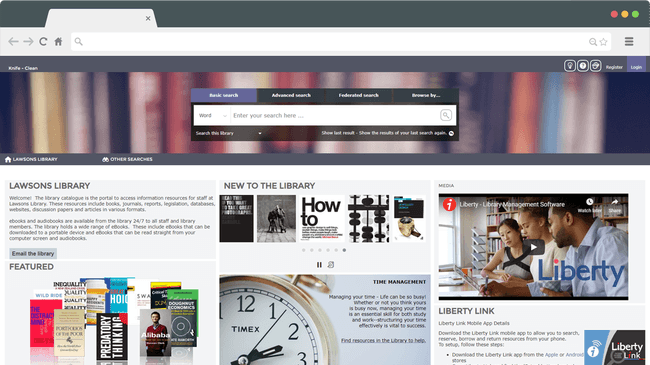 Liberty is a modern, cloud based library management system that has the flexibility to suit your organization’s needs and is powerful enough to get you the results for your library. 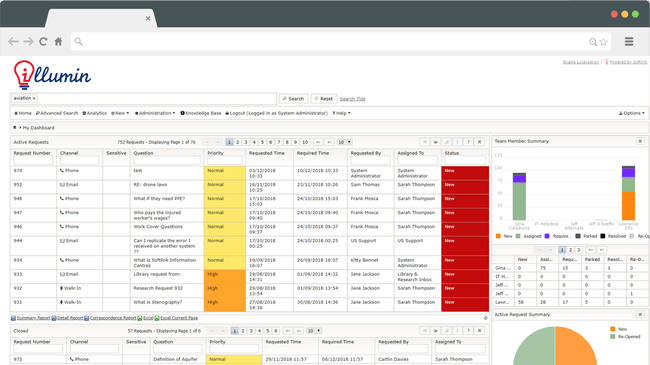 illumin allows you to streamline research and protects your organization’s valuable knowledge. With a customizable knowledge base, a central repository for tracking all your valuable research and a cloud based interface. I had no concerns when upgrading to Liberty, the Softlink team took care of everything from implementation to data conversion. Liberty was up and running to begin using from day one with no issues. The search functionality in Liberty has meant researching information is much easier for staff, scientists and students. They no longer need to search separate databases but can find exactly what they need instantly in one search in Liberty. I have used Liberty in previous workplaces, and have been impressed by the system’s ease of use and its stability compared to other systems. We have been using Liberty for 10 years and find the customer support really helpful. Responses are timely and efficient and it’s great that Softlink targets the specific needs of its customers. Softlink staff provide the kind of attention to detail that make the difference between Softlink and other vendors. With Softlink you don’t just learn how the program works. You learn how to make it work for you. I couldn’t do my job today without illumin. Softlink has always been a great vendor to work with, they are very responsive and always interested in finding a solution to our unique needs.